Getting established internationally has been a challenge, with my work coming out of NYC and a family to tend in Quebec. I’ve been driving more often, trying to appreciate the kilometers and sights. As much as I love skiing, winter driving can be stressful. 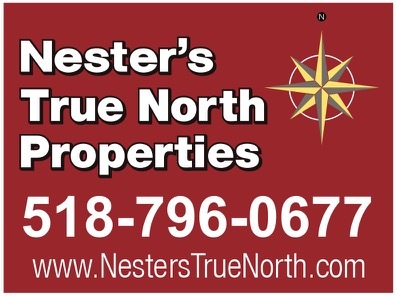 We all have stories about heading north at midnight when the temperature hits -25F and the fuel light comes on, or when a tree falls in front of your car and blocks your way while you’re moving along. I’ve come to appreciate a smooth and safe ride on summer tires, the fuel efficiency without a ski rack, and the long daylight hours. I set out on Sunday just to sightsee and wait for the mercury to fall so I could get on some new rock and arrived at Mont Rigaud Ski Area at 4pm, the time when ski areas are emptying out in the winter. 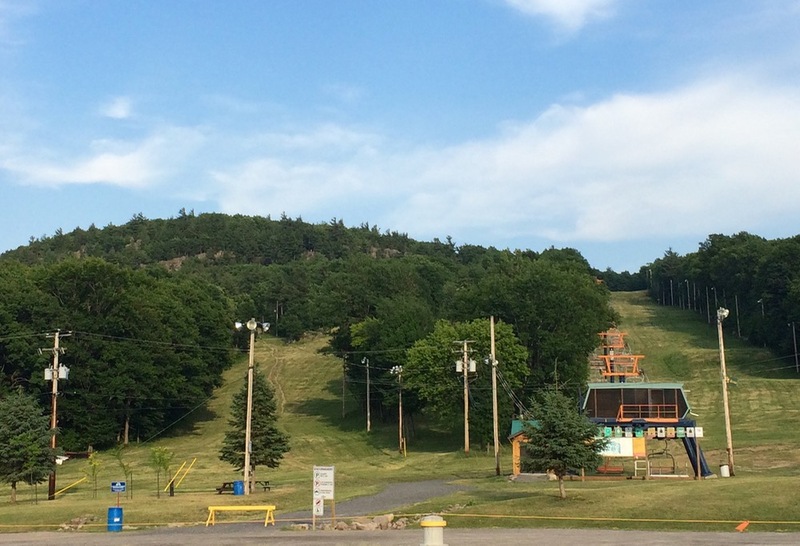 Mont Rigaud is a nicely run and family-owned feeder hill on the border of Quebec and Ontario that caters to families, learning skiers, and people who want to make a few turns after work. I’ve been looking at small areas differently the past few years and this one caught my eye. The area has two lifts: a learning carpet and a fast quad with a conveyer loader. I found it to be humble and incredibly polished at the same time. In the summer the lifts do not run, but there is plenty to do for the motivated outdoor enthusiast. 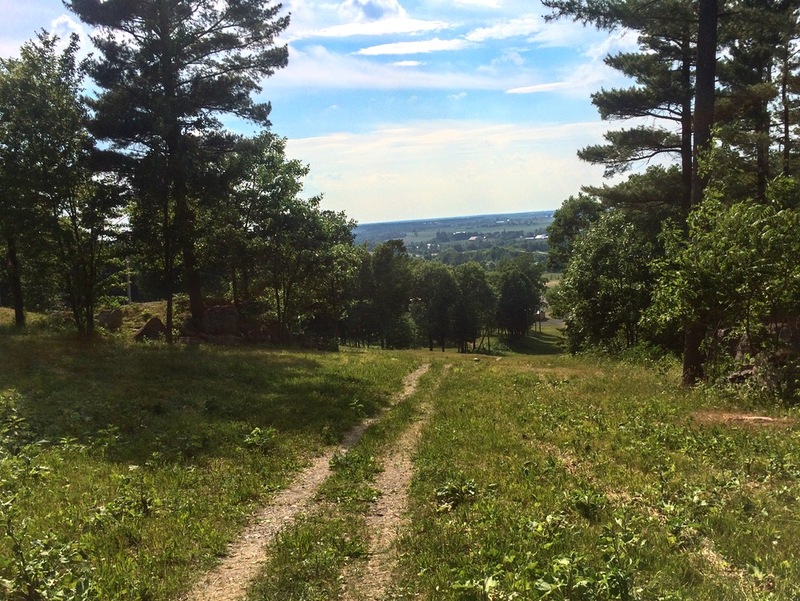 Bike trails of all levels carve both sides of the ridge, and there are hiking trails if you want to catch a sunset. I was just hoping to catch a climbing partner and competent belayer. For $5 I parked my car and set off to explore on my own, just like the hikers and mountain bikers and everyone else there to enjoy the day (bikers pay a bit more, and dual suspension is recommended for all but the beginner trails). The crags and company were both easy to find. I quickly fell in with a couple of Montrealers, a teacher and whitewater guide that were new to climbing, and I was able to share a bit of knowledge while gaining partners for the rest of the day. The deal worked out pretty well for all, although their dog wasn’t quite as happy while we built top ropes on our perch above him. The granite cliff band was really fun and well taken care of. It isn’t on the FQME site so I don’t even know who to thank, so I’ll credit JT (Justin Trudeau). 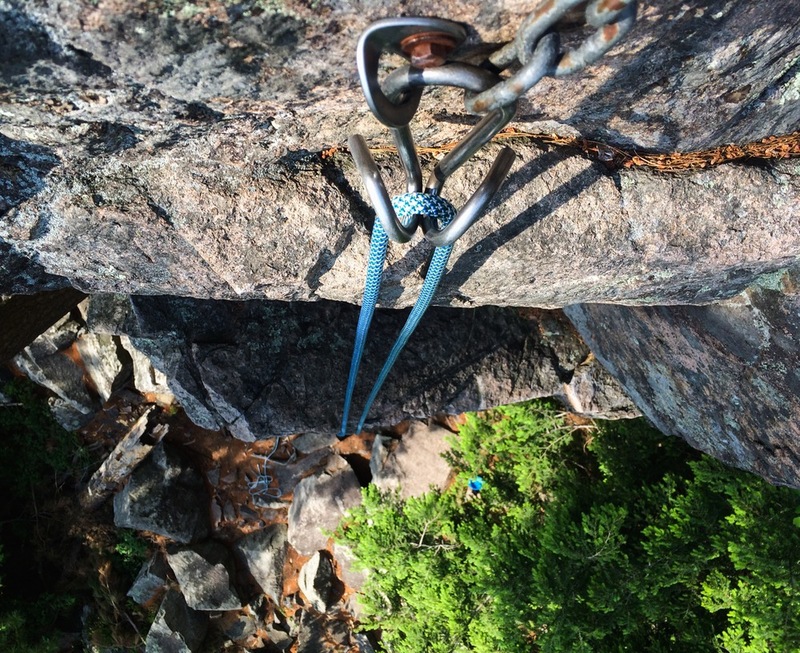 While no climb seemed greater than five to seven bolts, most of the hardware was brand new and the anchors were all outfitted with Pig Tails, which I had only previously seen online. Bad blocks were chalked with X’s, and there was no litter on the ground. I let my climbing partners know that they had committed a faux-pas by top roping in the new Pig Tails, but their ingenious design for being lowered after sport climbing can interfere a bit with adding your own gear, and they had previously been shown this method. Fortunately, it was just a couple of climbs, and we were out to beat the gate of doom’s closing at 7pm. You’re responsible for your own rescues and your own fun at Rigaud during the summer, but it also means you have to be ready to go when the party ends. If the gate comes down you have to call the owner for assistance. I stopped by the lodge one last time to check out the old photos and fill up my water bottle. It wasn’t staffed, but I felt all the hospitality of being in someone’s home. Their unique approach certainly worked for the area, and I can’t wait to visit again. Great pix. I mountain biked there in the summer of 2000, fun ride if I remember correctly. Cool story. Looks like a pretty neat place. The second pic kind of reminds me of Mt Peter. The pigtail anchors are interesting. I’ve never encountered them before, but sport routes in the Adks are pretty much non-existent. Did you get a chance to hook into the pigtails on a sport lead, or were you strictly top-roping? Brownski – It was about the size of Peter, I think? It was tough to really gauge devoid of skiers and snow. 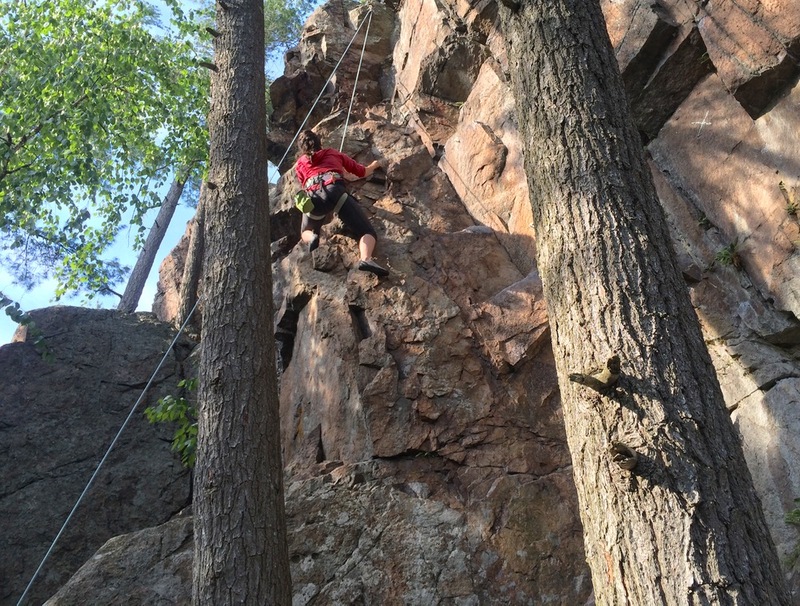 Jeff- I didn’t lead, my partners were very green and had never lead-belayed. I think that clipping the anchor as a lead climber would just take a couple of seconds practice to hook it. How did I miss this? Great report, ML. 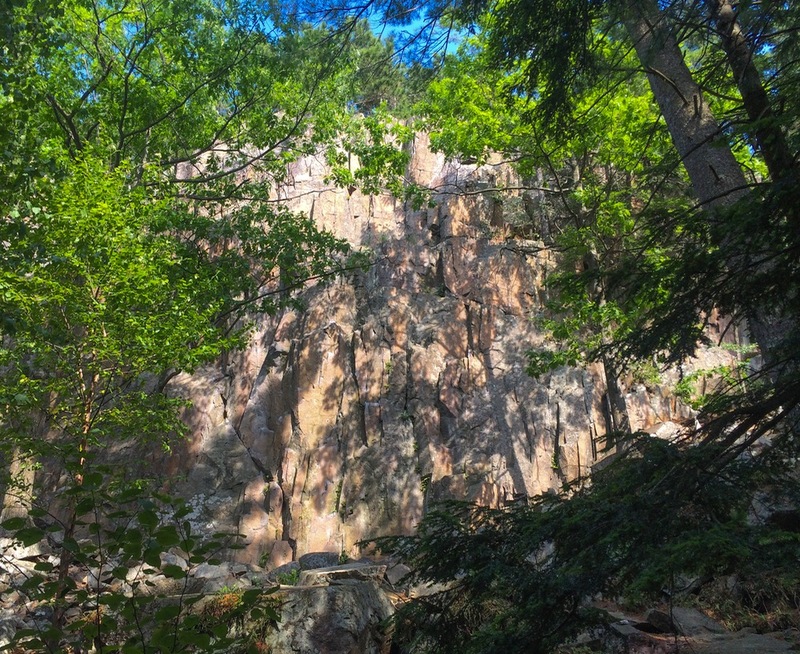 I grew up in the ‘burbs of Montral and my friends and I taught ourselves to climb (bad idea) at Rigaud back in the ’70s. We were like the green guys you met, and thankfully got schooled by some older, experienced climbers before doing something really stupid. I guess I’m the old guy now. It sounds weird though because I consider myself to just have the amount of experience to do something truly dumb. Like, there’s nothing I can’t do on a rock but also nothing I do that well. Unfortunately, I’m also the defacto leader in all of my trips… I always keep Freedom of the Hills nearby because there’s always more to learn. Hope we can get out there someday again too. Cheers!